The doubters though have long cited Kevin Pietersen's walkouts from Natal, in protest at post-apartheid South Africa's quota selection policy, Nottinghamshire and Hampshire, as proof his England career would end in tears. Kevin Pietersen is one of the most thrilling batsmen the game has known while Geoffrey Boycott was one of its greatest defensive openers. Certainly, the South Africa-born shotmaker and the archetypal dour Yorkshire and England 'blocker' don't appear to have that much in common. But Boycott's mournful comment that "they don't want me, but they want my runs," will serve equally well as an epitaph for the England career of Pietersen. Yet on the very day the England and Wales Cricket Board (ECB), announced the end of his international career, Pietersen was giving a batting 'masterclass' to his young team-mates at county side Surrey. Surrey supremo Alec Stewart, a former England batsman whose patriotism was never called into question, dismissed talk of a 'publicity stunt'. "We're just lucky to have Kevin. When you have someone who is world-class -- and he is world-class -- and he is able to impart some knowledge back into the county game that can only be good, not just for Surrey but for English cricket," Stewart said. The doubters though had long cited Pietersen's walkouts from Natal, in protest at post-apartheid South Africa's quota selection policy, Nottinghamshire and Hampshire, as proof his England career would end in tears. Yet for much of his time as an England player, Pietersen's motives and those of his adopted country dovetailed beautifully. Indeed Pietersen's maiden Test century has a claim to being England's most important of the 21st century so far, given that it secured the draw that saw them regain the Ashes in 2005 after a 19-year gap since their last series win over Australia. On a day when conventional tactics simply led to a flurry of wickets at the other end, Pietersen audaciously counter-attacked bowlers of the calibre of Glenn McGrath, Brett Lee and Shane Warne. And in Mumbai in 2012 he made 186 against India on a spinners' pitch where most batsmen were struggling just to stay at the crease. It was always going to be asking a lot of Pietersen to play such innings, atypical for most of his team-mates, and yet be typically, self-deprecatingly, 'English' off the field as well. England's desire to have a captain across all three formats saw the lanky shotmaker given the job in 2008. But a falling-out with coach Peter Moores -- not to mention his then assistant Andy Flower -- meant Pietersen's tenure lasted barely five months before both men lost their posts. The Headingley Test in 2012 against South Africa encapsulated Pietersen's England career. Having produced a match-saving century where Dale Steyn and Morne Morkel were treated like club bowlers, Pietersen gave an equally stunning post-match press conference in which he proclaimed "it's tough being me in this dressing room". Soon afterwards it emerged he'd sent "provocative" texts allegedly critical of then England captain Andrew Strauss to South African players. 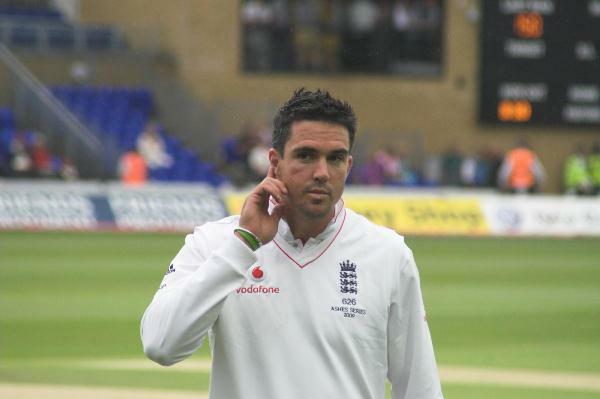 Pietersen was briefly dropped by England, only to be recalled when Alastair Cook took over following Strauss's retirement. Tuesday's joint statement between the ECB and Pietersen was light, very possibly for legal reasons on details as to why the centrally contracted batsmen's services were being dispensed with, other than a generalised need "to rebuild not only the team but also team ethic and philosophy" following the 5-0 Ashes rout in Australia that has also cost Flower his job as coach. That England said axing Pierersen was the "unanimous view" of their management, suggests something soured in his relationship with Cook in Australia where he was still England's leading run-scorer. But Michael Vaughan, Pietersen's first Test captain, lamented what many will see as yet another failure of man management by the all too often staid hierarchy of English cricket. "You have to be able to manage mavericks. You can't have clones around," said Vaughan. Now, of course, Pietersen appears to have more time to make the vast sums of money in the lucrative Indian Premier League -- something his critics have always claimed is his main motivation. But he insisted Tuesday: "Playing cricket for my country has been an honour..I will continue to play but deeply regret that it won't be for England." Pietersen, England's record scorer across all formats, bows out with a purely Test tally of 8,181 runs in 104 matches, including 23 hundreds, at an average of 47.28. It is a fine record but is it a truly great one? The argument, like 'box-office' Pietersen himself, seems set to divide opinion.